Click the button below to add the Turbinado Brown Sugar Body Scrub#Winter Care# to your wish list. Do away with Dry, Flaky Winter with this Luscious Body Scrub. Ultra-rich and packed with nutritive benefits from fresh cut sugar cane, this luxurious body scrub gently sweeps away dead skin and debris, leaving you with smooth, polished, radiant skin. Dry, cracked and irritated skin will become renewed and rejuvenated with this body scrub as the pure botanical ingredients penetrate deep into the skin. Our Nutritive Body Scrub will diminish flakes and protect the skin from becoming chapped from the cold breezes and frigid winter air. 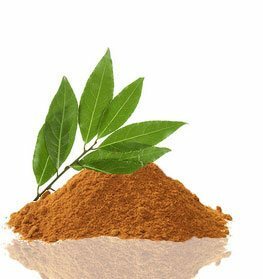 Infused with powerful antioxidants and alpha hydroxy acids, Turbinado brown sugar is the perfect base to revitalize cracked skin by gently exfoliating and buffing away dullness and dryness. Enhanced with Kukui and Hazelnut Oils, their ability to leave skin feeling luxurious softer and silky smooth, revealing younger-looking skin. Our Turbinado Brown Sugar Body Scrub is lightly scented with pure Orange Peel, Lavender and Lemongrass Essential Oils that create a wonderfully soft and fragrant bouquet for the senses. Ingredients made by nature. Won't sting or cause redness. Remove dead skin and debris while leaving skin smooth, radiant and even-toned. Great to use during the winter season to maintain smooth skin. 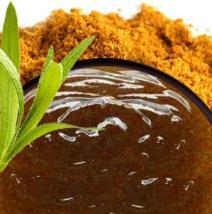 Turbinado Brown Sugar works to exfoliate dead skin to replenish softness and smoothness. Hazelnut and Kukui Nut oils are vitamin rich lasting moisturizers. Shea Butter is a nutritive moisturizer that provide vitamins, antioxidants and nutrients to dry, damaged skin. To use, wet skin first, then apply a small amount to the skin, working the scrub in a circular motion to exfoliate. • Use this scrub once a week to exofoliate dead skin to maintain smoothness. • Moisturize the skin afterward with either our Skin Calming And Healing Lotion or Skin Calming and Moisturizing Cream. • If you are looking for a cleanser, we suggest our Skin Calming Body Wash or our Gaiana Nutritive Soap. Love the smell this scrub. I purchase this scrub every other month and love to use it for my weekly self-tanning prep. It's a coarse scrub and it really does the job of exfoliating and softening the skin. It is not harsh, smells sweet and is reasonably priced for the size. I have recommended this product to all my relatives. I was given this product as a birthday gift last year and I am addicted to it. It is on the pricey side but for how much you get it is perfect. My skin is always dry and the Chicago winds don't make it any better. The scrub restored my dry skin and transformed it to silky smooth skin. I recommend this to every man or women who want smooth great smelling skin. This scrub makes the skin super soft, smooth and hydrated. I use this product more during the winter as my skin does get chapped. It does leave a weird residue or make my skin greasy. My two children also use this product and also love it . I absolutely love this scrub. I have dry rough skin from as far as I can remember. My skin gets worse in the winter as it cracks and blisters. This product has softened and soothed my skin. I use this scrub twice a week on my roughest areas first and then I use it on the rest of my body. The smell of this product is enjoyable and my skin feels super hydrated.